Hey everyone. Travis here with some Tampa Bay entertainment that will get everyone&apos;s engines reving. 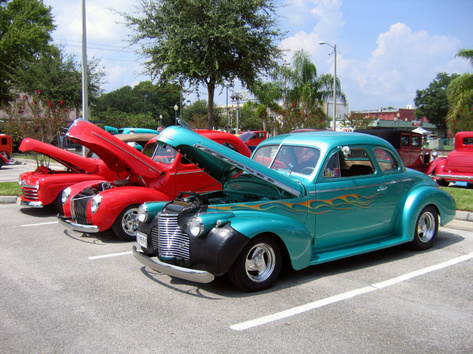 The 12th anniversary strawberry classic car show will drive in to Plant City on April 18. They are expecting over 800 Cars and Trucks and the excitement goes from 4 to 9 p.m. in downtown Plant City. Plus, there will be awards and plaques given out throughout the event! Registration begins at 3 p.m. and it&apos;s FREE to participate in. 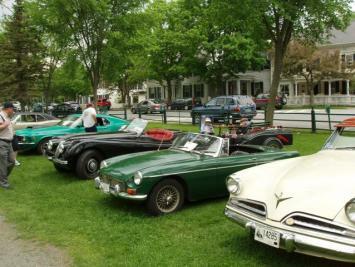 In addition to the spectacular array of vehicles to browse, there will be food vendors, plus you can peruse a selection of auto accessories, crafts and more. AND, there will be live entertainment by Down Home Sounds, featuring Bluegrass, Country, Traditional and Gospel music. And if that wasn&apos;t enough, there will be a 50/50 drawing and local restaurants and shops will remain open for the event. So, registration is free...plus, addmission is FREE too! And there will be free parking on neighboring streets and area parking lots. If you want to get more info about this amazing event, log on to www.plantcity.org. I can tell you from personal experience that this is a GREAT event. If you are in to cars at all, you need to head out and experience one of these car shows. Between the cars, the entertainment and the friendly people, you&apos;ll be coming back for years and years! So make your plans to check it out, and keep checking back here for more updates about great things to do in Tampa Bay! From Ybor City to Plant City and beyond, we have you covered!